The latest Roy Morgan Research has found Australian children are drinking a lot more sweeten drinks than Australian adults. 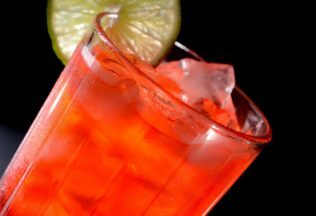 According to Roy Morgan Research, in an average seven days, 62.3 per cent drink fruit juice or fruit drinks at least once. Approximately 57 per cent per cent consume carbonated soft drinks, 32.4 per cent drink cordial and 28.6 per cent consume frozen drinks every week. Adult Australians are more likely to drink carbonated soft drinks with 47.7 per cent of adults 14 and older drinking these beverages at least once a week. Approximately 26 per cent of adult Australians drink fruit juice at least once a week, 14.2 per cent drink cordial, 5.8 per cent drink sports drinks, 5.5 per cent drink energy drinks and 3.7 per cent drink frozen drinks. Michele Levine, Chief Executive Officer of Roy Morgan Research, said that there is no doubt Australian children like sweet drinks. 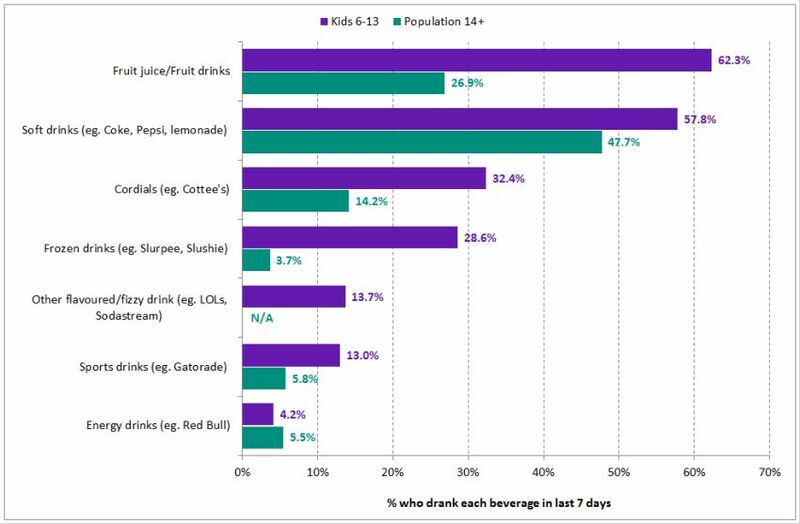 “But with the exception of fruit juices/drinks, which are consumed by almost identical proportions of 6-9 year-olds and 10-13 year-olds, it’s the older group of kids leading this trend– particularly for soft drinks, which are enjoyed by almost two-thirds of 10-13 year-olds in an average week,” Levine said. “Some drinks—such as cordials and fruit juice—are equally popular among boys and girls, while some tend to be favoured by one gender more than the other. A higher proportion of girls (29.9 per cent) than boys (27.5 per cent) consume frozen drinks like Slurpees and Slushies, for example, while boys (16.5 per cent) are much more likely than girls (9.2 per cent) to opt for sports drinks. While the proportion of children drinking these beverages is obviously much higher than that of their older counterparts, these gender differences apply to both age groups,” she stated.